There will be no mention of Special Counsel Robert Mueller’s ongoing investigation into whether there was collusion between the Trump campaign and Russia at Paul Manafort’s upcoming federal trial in Washington, D.C., the judge ruled during a pre-trial hearing Wednesday. Manafort’s role on the campaign as the president’s former campaign chairman, however, will be permitted for discussion in a limited manner, Judge Amy Jackson said. Prosecutors argued Wednesday that Manafort’s role working for then-candidate Trump is relevant because it put Manafort in a visible position, sparking press inquiries to the DOJ about his lobbying work in Ukraine. Manafort worked as a political consultant for Ukraine’s since-toppled President Viktor Yanukovych, and his political party, the Party of Regions. Manafort’s attorneys’ want to argue in court that their client’s political positioning is relevant to the case because it caused him to be unfairly targeted by prosecutors. 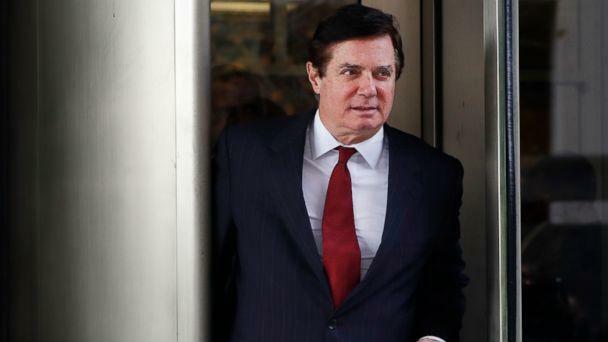 His attorneys argue that other individuals who have committed violations similar to those alleged of Manafort did not face as harsh a criminal proceeding. Manafort was “targeted because he was a campaign manager for Trump,” lead attorney Kevin Downing said Wednesday. Judge Jackson also denied the defenses motion to move the case from Washington, D.C. to Roanoke, Virginia. The defense sought to move the trial due to the "unrelenting news coverage" that their client’s legal woes have garnered in the nation's capital. "While federal courts often address issues of pretrial publicity in high-profile cases, it is difficult to conceive of a matter that has received media attention of the same magnitude as the prosecution of Mr. Manafort," his lawyers wrote in an earlier court filing. Jackson said she didn't see why the court couldn't seat an impartial jury and said if it becomes clear they can't qualify a jury, she will reconsider the matter. Mueller and his team of prosecutors have charged Manafort with seven counts of obstruction of justice, conspiracy, and foreign lobbying violations in their second case against the former Trump campaign chairman in this case. Last month, a jury in Virginia found Manafort guilty on eight counts of tax and bank fraud, and deadlocked on 10 other charges, however, Jackson ruled that the previous case not be discussed during the D.C. trial, saying that Manafort's prosecution and conviction is irrelevant unless Manafort chooses to testify, at which point jurors would be informed of his prior conviction. Judge Jackson also ruled that counsel is not permitted to mention the extra-marital affairs of the prosecution's “star witness” from the Virginia trial, Rick Gates. Gates, a former business associate of Manafort’s, testified against his former boss over the course of three days, during which time Downing elicited testimony from Gates regarding his “separate secret life” which included an extra-marital affair, that he funded with the money he admitted to embezzling from Manafort. Jackson said she didn’t believe evidence related to infidelity was relevant to Gates’ credibility as a witness and said Gates could be cross-examined “without getting into his marital history”. The defense team also indicated an intention to call an expert witness to testify, though it was unclear what sort of information that expert might offer. This would be a departure from the defense’s strategy in the Virginia trial where Manafort’s legal team chose not to mount a defense. In Virginia, Judge T.S. Ellis prohibited the legal teams from using the term “oligarch” to describe wealthy businessmen in Russia and Ukraine. Jackson said if the term is used, they must offer a mutually agreed upon definition to the jury. Judge Jackson also emphasize a point made repeatedly by the judge in the previous trial – to expedite the questioning related to Manafort’s lavish lifestyle. “I think we can turn down the volume” on Manafort’s lavish lifestyle, she said. Jury selection for the DC trial is set to begin September 17, and opening arguments are scheduled to be heard on September 24.